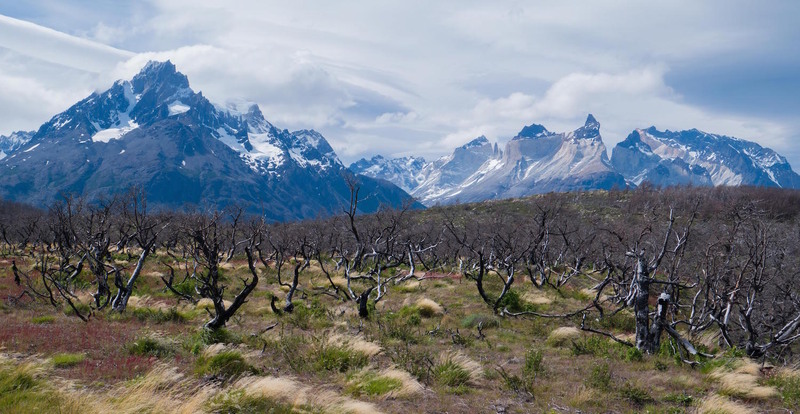 Going on a multi-day trek through Patagonia is on a lot of people’s bucket list. Who doesn’t want to visit the Straights of Magellan, Patagonia and some of the most photogenic landscapes in the world? But if you look online the expense seems, shall we say, unfortunate. Okay, not unfortunate, nosebleed expensive. 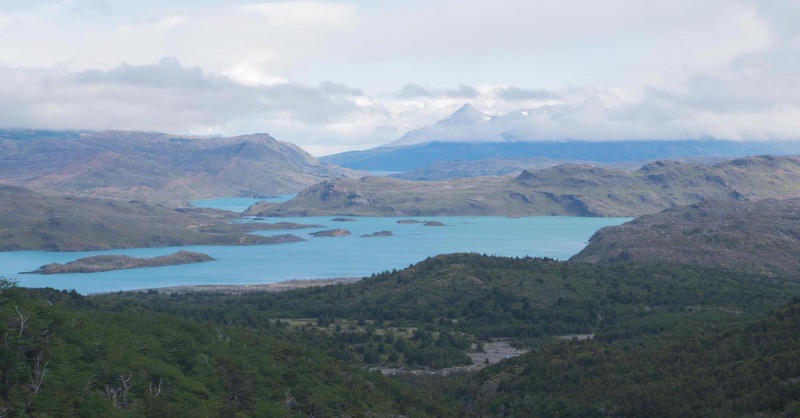 Saying that you can visit Torres del Paine National Park on the cheap is a lie. You just can’t. It’s incredibly far away, Chile is an expensive country and Chilean Patagonia is even more so. If you look online, flights and tours alone can easily run in excess of $5,000 per person. 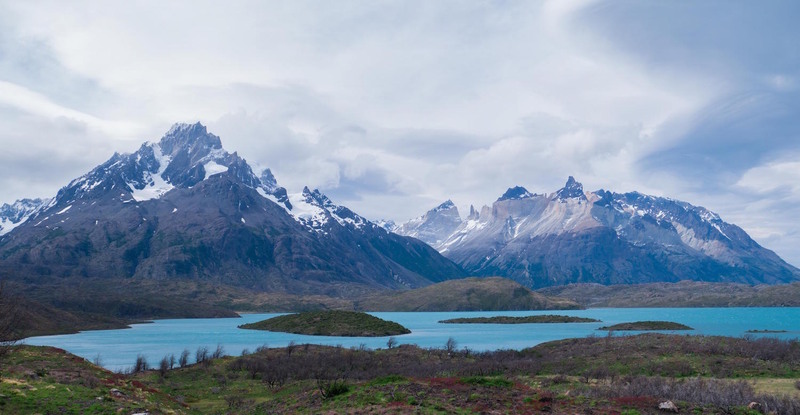 While a trip to Torres del Paine will likely never be categorized as cheap, there are a couple of easy things you can do to cut the cost of a trip almost in half. A round-trip flight from New York to Punta Arenas will run you over $1,500 — which is about the same as five full-priced Virgin America round-trip tickets from New York to San Francisco. Or, at current Star Alliance prices, you can fly round-trip to Santiago for 60,000 miles with a $10 co-pay. Flights from Santiago to Punta Arenas run regularly and can be purchased from Sky Airlines or LAN and usually cost just a couple hundred bucks. Don’t have a ton of miles lying around? There are a few clever ways for normal people to accrue tons of miles without being a corporate flier or super wealthy. I’m dead broke and haven’t paid for a flight in years, mostly because I follow The Points Guy like a disciple. 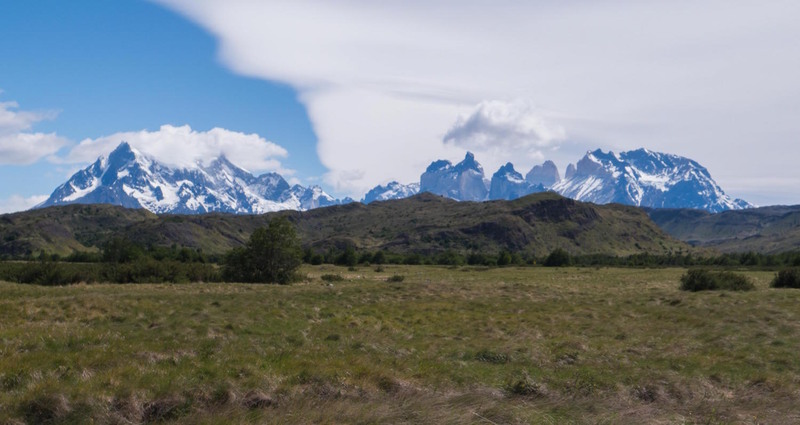 If you Google “Torres del Paine tour,” you’ll get a seemingly endless number of tour operators eager to send you on an amazing, one-of-a-kind, trekking adventure. You’ll get to “sail up to the face of a towering valley glacier” and “hike above the ice of Grey Glacier” while listening to “the sound of ice calving off hanging mountain glaciers.” Sounds pretty intense — except that it’s all a huge rip-off. Literally everything they’re offering on most of these tours is available to the general public at much lower prices when you arrive in Chile. The transportation, the accommodation, the food: it’s all the exact same thing you’d be doing if you just showed up and did it yourself. It’s kind of like if you started a website in Mandarin Chinese that offered an “Amazing Manhattan Adventure,” Then for $2,000 you offered to take some poor sap on the Staten Island Ferry and up to the top of the Empire State Building. But that’s not all, you’ll also make sure to take care of their lunch at Ray’s Pizza and book them a room a Hostelling International — tidy profit margin. “Day 1: Puerto Natales. Grey Boat. Hike Grey-Pehoe. Camp Pehoe.” That means you’ll take a $20 bus, get on a $30 ferry, walk on well-marked trails and camp in rented gear at a campsite that charges about $7.50 a night. “Day 2: Hike Pehoe to Cuernos. Camp Cuernos.” You basically walk from one campsite to another and stay in another campsite that costs about $7.50 a night. The horrible thing is that this itinerary actually has you walking past a free campsite that’s way nicer. It also has you walking right past the French Valley, which is one the most impressive parts of the entire park. “Day 3: Hike Cuernos to Chileno. Night refugio Chileno.” Like the day before, you’ll walk from one campsite to another, and then stay in a hostel that costs $40 a night. “Day 4: Hike to base of Towers. Transfer to Puerto Natales.” You walk up a hill, look at the Torres Towers and then take a $20 bus back to Puerto Natales. Presumably you’re on your own to get back to the airport in Punta Arenas. Total Value: $121.50. To be fair, the tour also includes food (about $130 a day if purchased in the park), park entrance ($40), rented camping gear ($200), an English-speaking guide and porters to take care of your bags. That means you could do the same thing for $881.50 and still have $1,068 left over to hire some guy to show you around incredibly well-marked trails. Or you could use it to buy a flight. 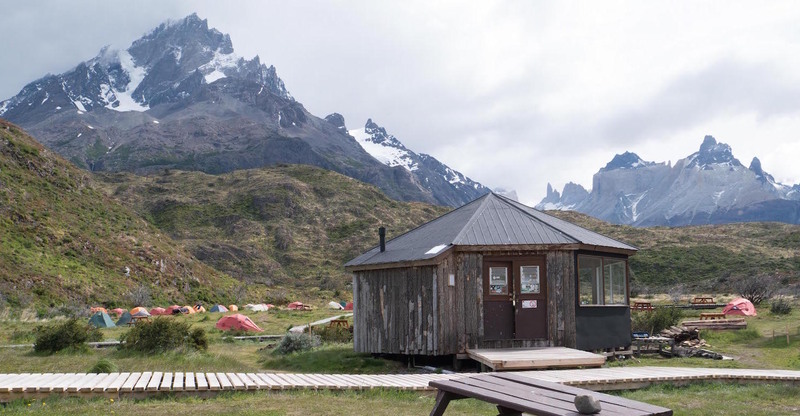 There are a series of hostels, or refugios in Torres del Paine parlance, set up around the park. They’re big, modern and warm, and have all the amenities of a hostel in a city. They also have considerable downsides. They’re expensive, they book up months in advance, and they are packed full of the sort of people who took that $2,000 tour. The park has several absolutely free and very well maintained campgrounds. There are other campgrounds that charge a couple of dollars and offer all sorts of amenities. I’m talking about hot water showers, clean flushing toilets, electrical outlets and access to small stores. You can, and many people do, purchase all your food while you’re inside the park. For about $130 a day the refugios offer a full day’s food, and from what I could tell, it looked pretty good. But for much cheaper, there’s a large, modern grocery store outside the park in Puerta Natales. They have a good selection of camping-appropriate foods and a decent booze selection. Speaking of booze, there are bars at the refugios inside the park, but prices are extortionary — they know you’ll be thirsty for a strong drink after a long hike. Think ahead and grab a bottle of something stiff in Puerta Natales. I highly recommend packing in a bottle of whiskey for its high alcohol-to-weight ratio. Not only will you be the most relaxed person at the campsite, you’ll also be the most popular. Because Torres del Paine is such a remote destination, it attracts a lot of campers with deep pockets. These campers then go hog-wild at their local gear store buying some beautiful equipment that’s complete overkill. I watched one French octogenarian spend about an hour trying to figure out how to set up a brand new $700 tent that I’m guessing will spend the rest of its life in an attic. Once he figure out how to get the tent up, he then spent the next half hour putting together $600 worth of super lightweight trekking cots for him and his wife. While I’ll admit a certain amount of gear jealousy, it seemed like a bit absurd. If you go trekking all the time and have gear, awesome. But for the rest of us, there’s no need to drop several thousand dollars at Eastern Mountain Sports before leaving home. Just outside the park in Puerta Natales there are tons of places that will rent you everything you’ll need for about $50 a day. The gear they’re offering is chosen specifically for the needs of hiking in Torres del Paine: light, wind-resistant and warm. The fact of the matter is that taking on Torres del Paine will never be cheap. That said, it can be done far cheaper than you’d expect. And, regardless whether you pay $800 or $8,000 for the trip, your pictures will be just as beautiful. Take that extra cash and tack on some time enjoying Santiago or the incredible street art of Valparaiso before heading back to the States. You’ll likely find Anthony traveling, hiking, cooking or horribly mangling photos in Photoshop. When that doesn’t work, he drinks whiskey. Anthony used to cover city news, business and politics for DCinno in Washington D.C., but left to explore South America. Now you’ll find him drinking whiskey on the beach.